The story of this game is supposed to be so scarry and captivating, but it won't. Well at least partially and for those who've played a lot of games of this genre. It is one more game where you fight with the demonic to save yourself and the world too. Sacra Terra: Angelic Night is the game where you begin by finding yourself in a rundown mental hospital. Soon you realize that that you have no idea how you got the in the first place. Then you are able to collect some pieces of information. And that doesn't make the situation much better. It turned out that some ritual went totally wrong and now the whole world is in danger of the demons of the seven deadly sins. You are going to find and face each of the deamons and prevent them from having absolute freedom. You will have a helper on your journey. It it is a ghost of a woman, who will lead you to the clues. The clues will also tell you the story of the hospital you are in. The game looks and sounds just perfect. The graphics are all so thought through with many details and animated parts and appropriate sounds. You will have to solve many puzzles here. Most of them will be familiar to you, but some will have a slight twist. 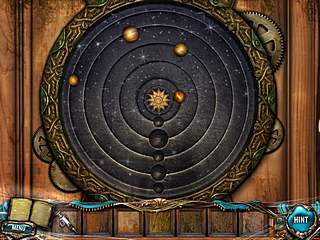 You will also have to solve many interactive puzzles with the inventory that you come across. 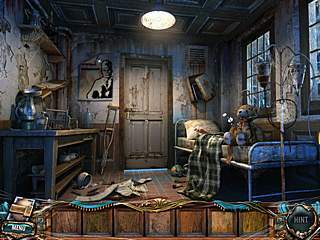 The game will take you to many hidden object scenes to search for the items. Some of those items are really small and hard to find, but you can always use the hint button. It works not only for the hidden object scenes, but the whole game too. The game is one of the best examples of the games of the adventure/hidden object genre for today. This is Sacra Terra: Angelic Night review. Download this game here.